When Do You Plant Blueberry Bushes? When Is it Too Late to Plant Strawberries? Do you long to pluck berries and fruits from your own garden and eat them while they're fresh, still slightly warm from the sun? Do you dream of making raspberry jam from your very own homegrown raspberries? Those are not idle fantasies. It's possible to grow fruits and berries even in a tiny urban garden. Find out how with LTK Garden! Edible berries and fruits are grown on trees, shrubs, vines, and even groundcovers. While not every kind of fruit or berry can be grown in every climate, you will find that a surprising number can be grown wherever you garden. The first thing to check is your hardiness zone. You won't be able to grow pineapples in zone 4, no matter how hard you try. Consider your soil. 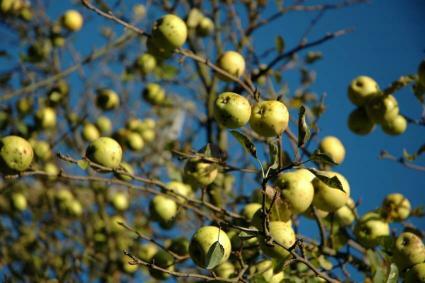 Many fruits have very specific soil requirements, and while the shrubs or vines may grow under less than optimal conditions, you won't get much of a harvest. Think about your annual rainfall and weather patterns. Are you willing to water your fruit trees if nature does not oblige? What is the length of your growing season, and how many hours of daylight do you have on the average? Many fruiting plants are photosensitive and will bear fruit only if they have enough daylight hours over a sufficiently long period of time. Would you love to grow your own berries and fruits, but don't want to give up your beautiful landscaping? Fruiting plants can be integrated into almost any garden plan and many have plenty of aesthetic appeal. Ready to get started? Check out the plants on our site, and find out how to grow your own fruits and berries!